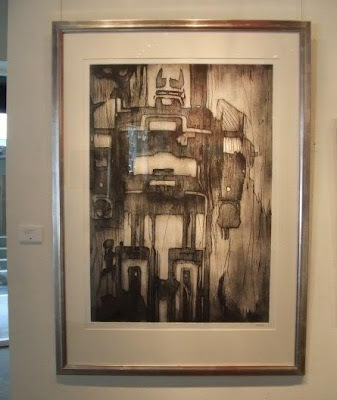 Growing up in the 1980s I was a huge fan of Transformers. I was one of those kids that wanted every action figure but parents just wasn't cooperating. My favorite characters were the Dinobots, Grimlock in particular. I never did get his G1 (Generation One) figure but instead got smaller less expensive figures at the time like Cliffhanger, Ravage and Twin Twist. As a working professional now, I'm sure I do what most of you who grew up on these type of shows do. And that is check on eBay what it would cost now to get that dream figure of yours as a child. Here are just some of the cool auctions and fix priced items available now. Most expensive Transformers related item? How about an original 1/1 fine art by Takuma Yoshida (pictured above). The seller lists the item as $250,000 Buy Now while accepting offers. What really impresses me about this item is "Frame coated with real silver, imported from Spain." Wow! Check out the listing here. Looking for some original artwork from the Animation? How about an original production cel from a Season 2 episode. The auction has eight days to go, with the current bid at $255.00. 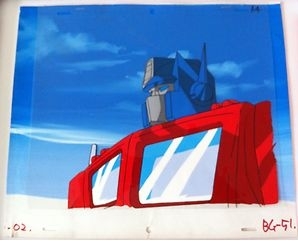 I've collected animation cels before and find this particular one really captivating as it features a bust shot of Optimus Prime. Check out the listing here. If you're looking to add to your G1 collection, the most expensive G1 figure available currently is the AFA Graded Piranacon Giftset. Listed with a Buy Now of $9,999.99 and accepting offers, you can view the listing here. 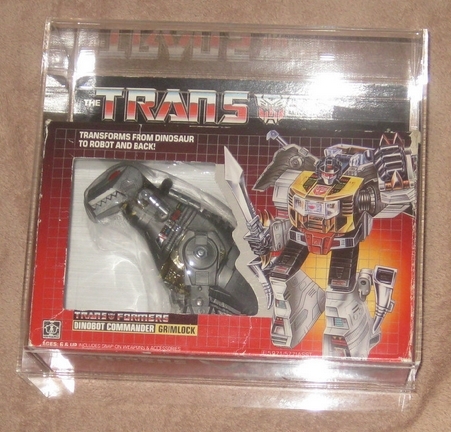 And how about my coveted G1 Grimlock? The best I could that was somewhat complete was this one with an original (albeit beat up) box. It has a Buy Now of $199.00 and is accepting offers. It doesn't appear to include the accessories nor original stickers, so I'll pass. You can view the listing here. And finally, quite possibly the coolest item available on eBay would be the Transformers Pinball Machine for $7,499. 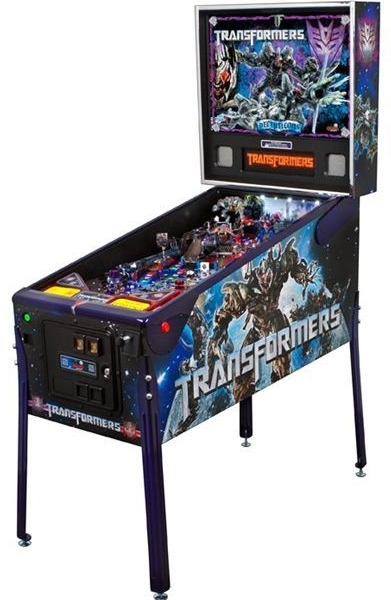 Available in Decepticon Purple or Autobot Red, the Stern pinball machine is limited to just 125 made. Most of the stuff I've listed are the most expensive of their category. 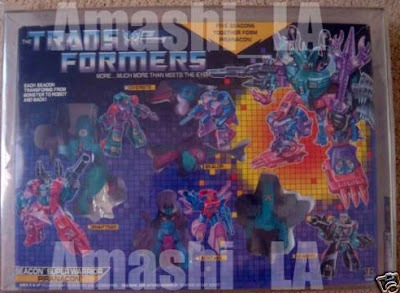 Of course if you look carefully, there's quite some steals to be found especially on used G1 action figures. Good luck and happy hunting for your childhood toy. What Transformers toy did you own growing up?